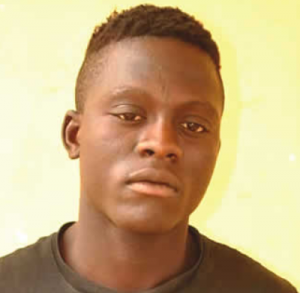 A 39-year-old man named Farida Banti, of Hungu village in the Mariga Local Government Area of the state, has been arrested for allegedly murdering his wife, Maijari, with a cutlass during one of their frequent fights. Speaking to newsmen, Banti said his wife lacked manners and that he was forced to send her back to her parents house to learn some manners. He said they engaged in a fight recently and he used a cutlass on her. Banti said he regrets his action but that women should learn how to respect their spouses.